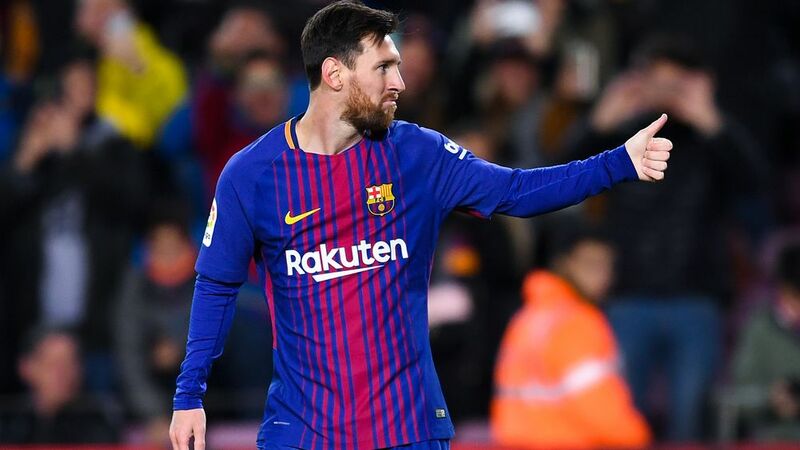 Lionel Messi underlined his enduring importance to Barcelona as he came off the bench to help Los Cules earn a dramatic 2-2 draw at the Ramon Sanchez Pijuan. Sevilla had taken a two-goal lead but Messi and Suarez scored in the final two minutes to help Barcelona preserve their unbeaten run in the La Liga. Messi was left on the bench by head coach, Ernesto Valverde as a precautionary measure on his injury, but the manager had no choice than to bring the club legend on in the 57 th minute with his team losing 2-0 on the night. Busquets was not in the squad as he continues his recovery from injury while Iniesta and Suarez came in for Messi and Paco Alcacer. For Sevilla, Gabriel Mercado, Jesus Navas, Joaquin Correa and Luis Muriel coming into the team. Barcelona were unbeaten in the Spanish division in 36 games, and it looked as though they would lose the game in Andalucia, but two quick fire goals ensured that they preserve their invincibility. Goals from Franco Vasquez in the 36th minute and Luis Muriel shortly after halftime gave Vincenzo Montella’s team a two-goal lead, though they squandered a lot of chances to put the game beyond the reach of their opponents. Suarez set up a nervy finish for the home team after scoring an emphatic volley in the 88 th minute. Just 55 seconds later, it was 2-2 as Messi received the ball on the edge of the box. He curled a first time ball into the bottom corner of Sergio Rico’s goal to complete the comeback. In an unusual underwhelming performance for the Barcelona defence, Sevilla had many goalscoring chances with Luis Muriel particularly wasteful. Barcelona showed the stuff of champions as they dug deep to get a result on a day that they didn’t play particularly well. Barcelona’s next game is the Champions League quarter-final first leg against Roma on Wednesday before they switch their attention back to the league against Leganes on Saturday. Sevilla face Bayern Munich on Tuesday night and then travel to Celta Vigo on Saturday.